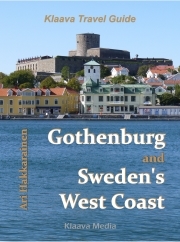 Ari Hakkarainen is an ebook producer and author. Before establishing Klaava, he had a long international career in technology and telecommunications industries. He authored Behind the Screen – Nokia’s success story in an industry of navel-gazing executives and crazy frogs when Nokia was at the height of its success.